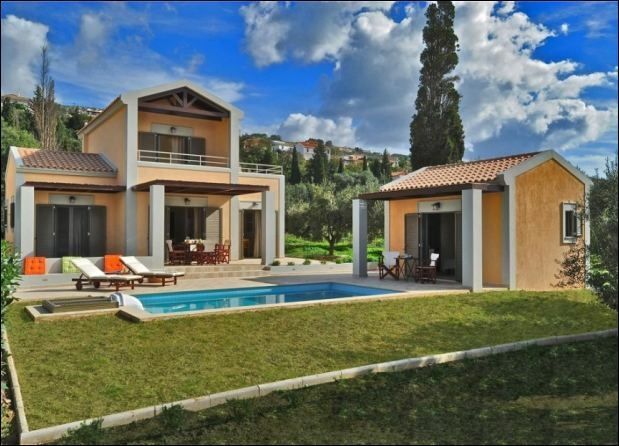 Villas are two spacious villas in Kefalonia each with stunning garden setting and colorful sunsets. 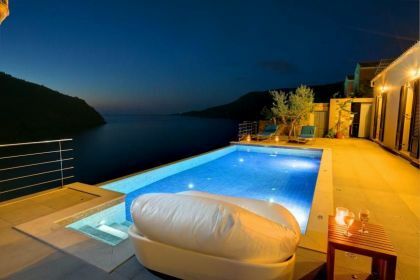 These Kefalonia Villas are also blessed, superb outlook and proximity to Spasmata beach. Amidst the garden above the pool, a spacious deck with comfortable sun-chairs promises a perfect chocolate tan. The Villas is an excellent property for guests who are longing for a stylish home away from home with impressive views and inspiring interiors. 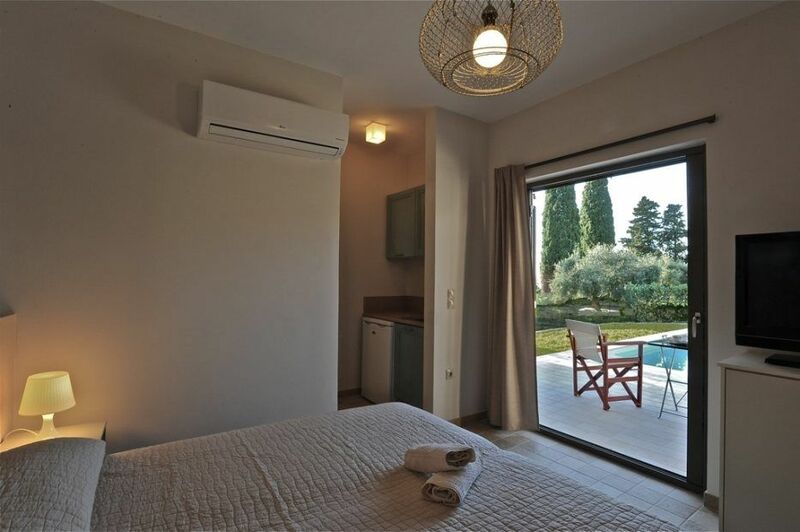 A two-storey detached villa plus studio ready to host up to 7 guests. 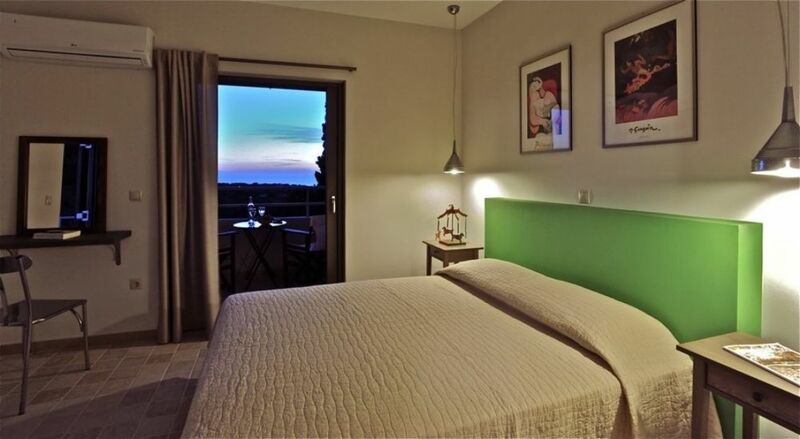 The main building, on the ground floor, consists of a living-room, dining-room, fully equipped modern kitchen, W.C., double bedroom and offers direct access to the private pool. 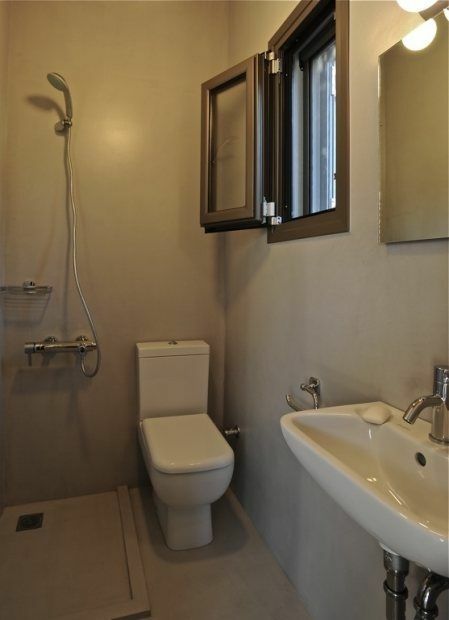 On the first floor there is the master bedroom, a bathroom and two large balconies. 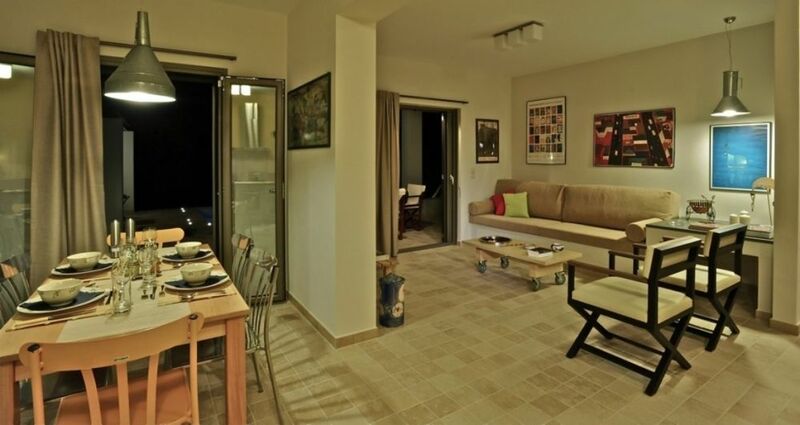 The studio has an open plan area with its own private facilities. On the verandas you can relax and plan the following day’s summer activities. 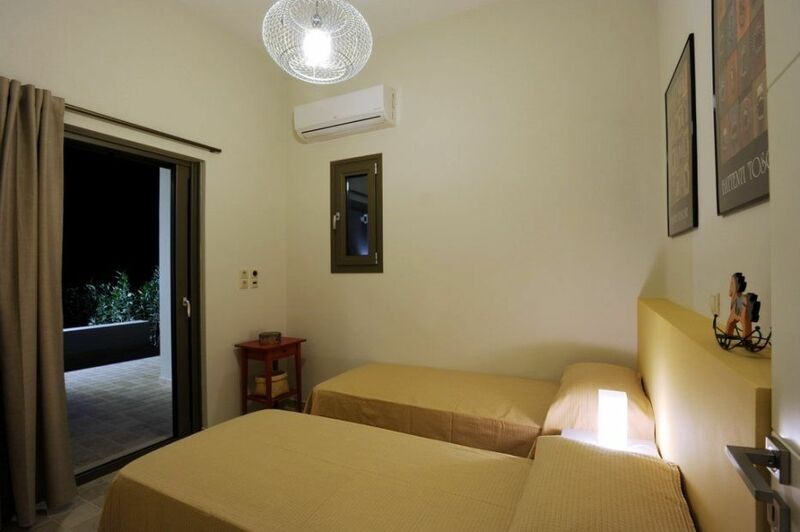 The ground floor bedroom as well as the one of the studio have the provision to be used as singles. Furthermore, the living room sofa can be converted to a single bed. 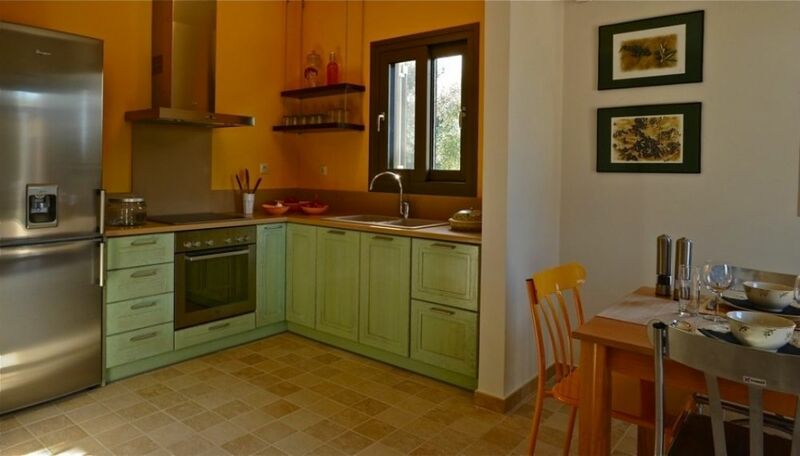 Equipment includes: Internet - Wi-fi ,Hob/stove, oven, fridge, microwave, washing machine, iron/ironing board/satellite TV, TV, DVD player, stereo system, air-conditioning ,Parking ,additional coats .The villa is ideal for families as they are located on flat land and has spacious surrounding gardens.